British photographer and author Nigel Barker and his model wife Cristen still maintain their romantic life the best way inspiring many fans around. Having an equally fascinating personal and professional life is barely seen among the celebrities. 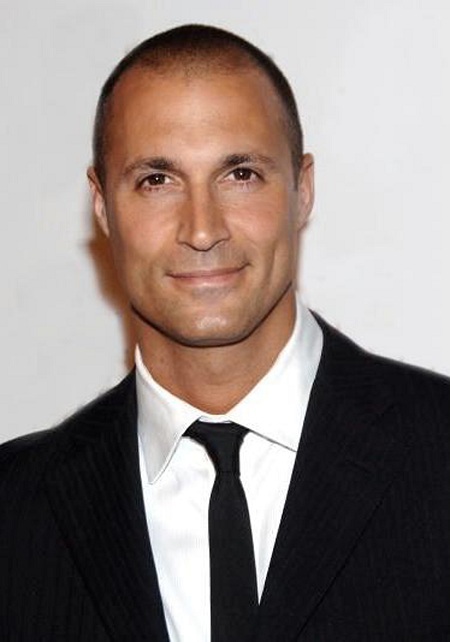 British photographer and author Nigel Barker and his model wife Cristen Chin is an exceptional couple in this matter. Nigel married his wife Cristen back in the year 1999 and is blessed with two adorable kids together. Let's find out their relationship in today's section. Nigel, the fashion photographer tied the knot with wife Christen Chin back in the year 1999 in her hometown of Fairhope Alabama. She is a model and CoverGirl representative since many years. As many other celebs, Nigel and Cristen met for the first time in the popular city Milan with the help of Christen's agent. It's often difficult to believe but it was love at first sight for the guy. Barker, who rose to fame as a judge and photographer on the reality TV show America's Next Top Model, without wasting time proposed his lady love the best way he could. "That night, I called my mom and said, 'I've met this girl, and I'm gonna marry her.' The ground moved. As beautiful as she is on the outside, she's also got an incredible heart". The lovebirds are currently residing in the West Village Apartment living an awesome conjugal life of 18 years. The couple was last spotted in public posing at Jumpstart gala in April 2016. The Face host even happier than before as he helped his wife in an awesome pose in the event at New York. Mother-of-two looked fabulous in a multicolored gown and his husband looked dapper in a bespoke pinstripe suit. The romantic life of a couple becomes even more effective with an arrival of kids making the family life complete. They are blessed with a baby boy, Jack on 28 November 2005 and a girl Jasmin three years later on 7th December 2008. As the family life is going on so smooth there are no rumors of split or extra affairs. Born on 27 April 1972 in London, England. His father is of Irish and Portuguese descent and his mother is of Sri Lankan ancestry. Studied A-levels in biology, chemistry, and physics at Bryanston School. Initiated his career working in a TV model search on The Clothes Show. Has an estimated net worth of about $35 million as of 2017.